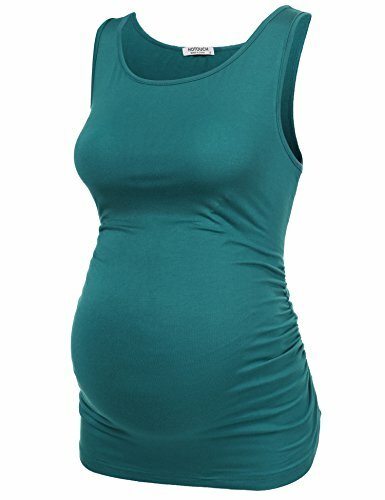 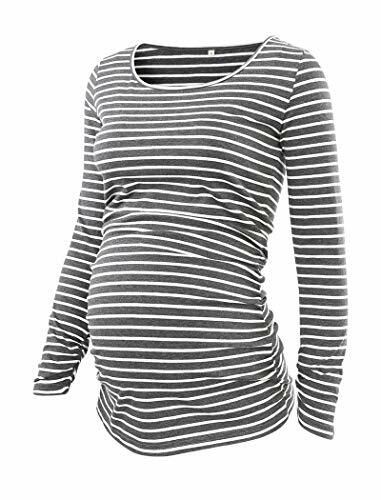 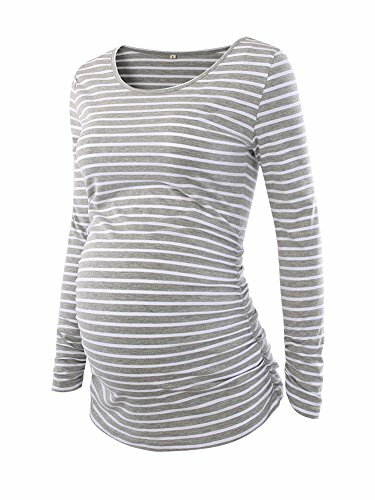 Maternity basic top - Ruching side, Round neck, Sleeveless, Solid Tank Top. 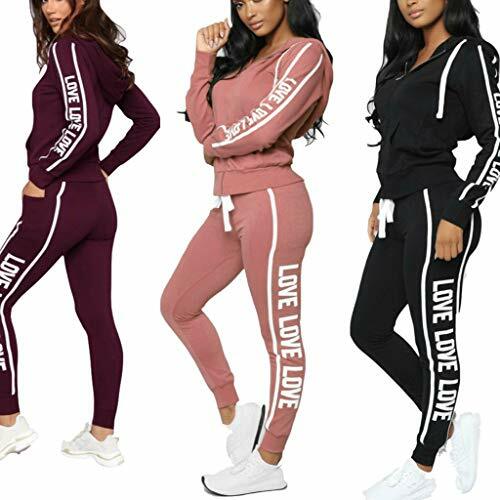 Suit for casual or sleep wear. 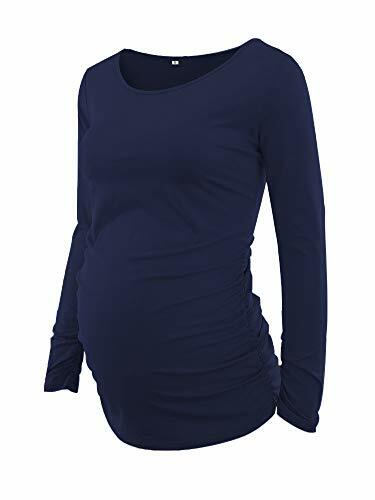 &#x1F45A; Feature-Elegant design with lotus leaf collar, Super elastic, Close-fitting curve.Comfortable to wear, suitable for casual /sleep wear/lounge wear/maternity wear. 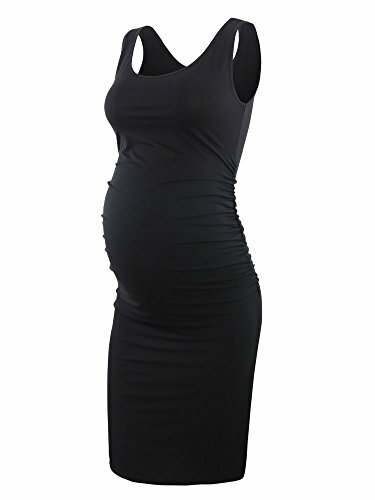 Occassion :Work, Party, Cocktail, Beach, Casual, Club, Picnic, Dating.This ruffle neck velvet maternity bodycon is designed to flatter your bump, keep you feeling beautiful and confident.Maternity Nightgown, Labor and Delivery Gown, Nursing Night Gown, maternity dress for photography. 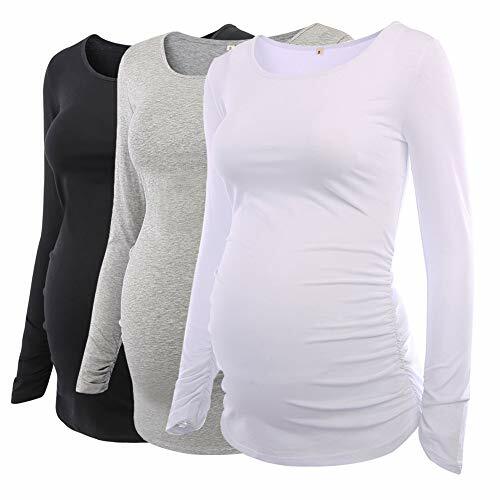 Fit for bust(S)33-35" (M)35-37" (L)38-40" (XL)40-42"
Length(shoulder to bottom hem)(S)28" (M)28.5" (L)29" (XL)30"
Sleeve Length(S)24" (M)24.5" (L)25" (XL)25.5"
Size fit for bust(S)33-35" (M)35-37" (L)38"-40" (XL)40-42"
We have changed Brand "Jinson" to " Ecavus" . 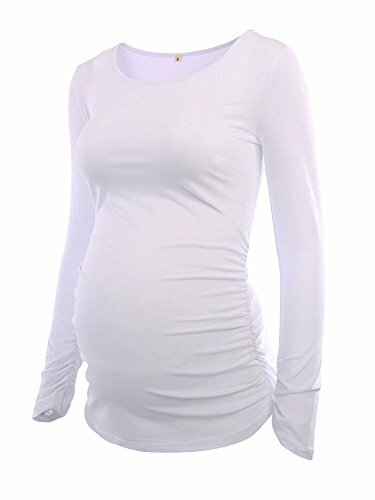 Thanks for your support and understanding. 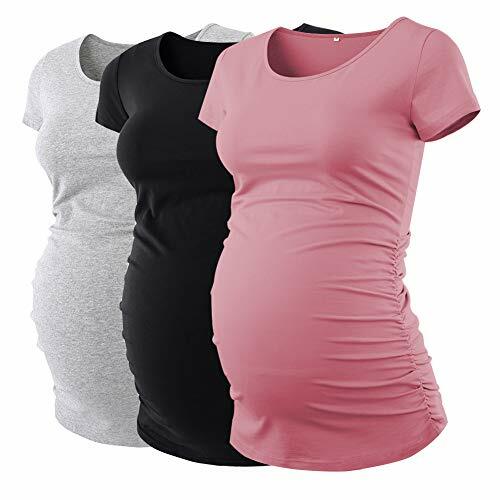 Three sets,size fit for bust(S)33-35" (M)35-37" (L)38-40" (XL)40-42"
95% Cotton,5 Polyester, Hand and machine wash with mild detergent. 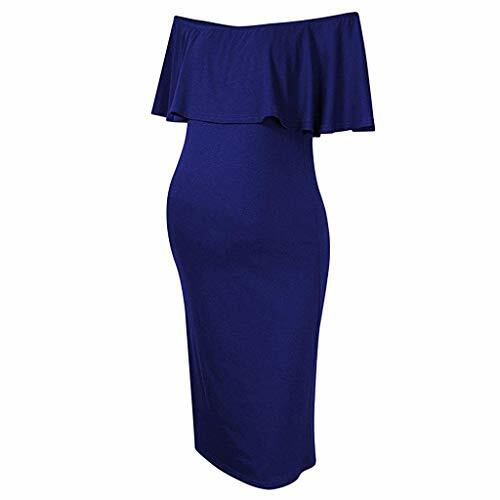 SOFT AND LIGHTWEIGHT.Material:95% Viscose,5% Spandex. 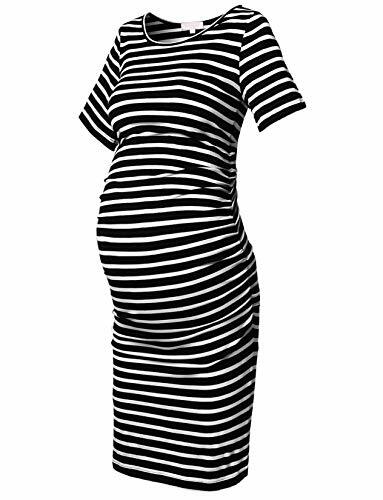 The maternity dress is made of soft jersey fabric and the fit is very flattering with the ruching all the way down. 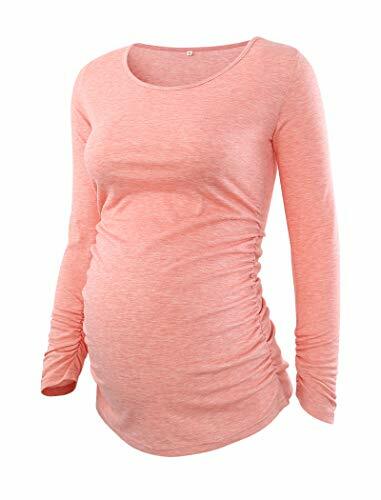 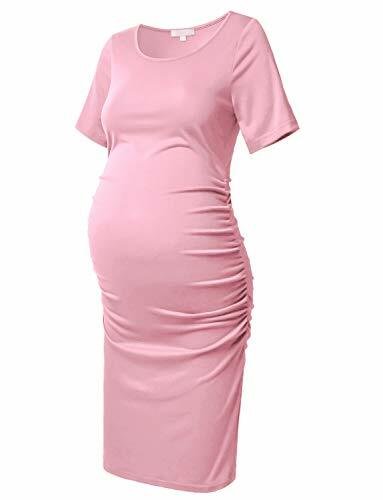 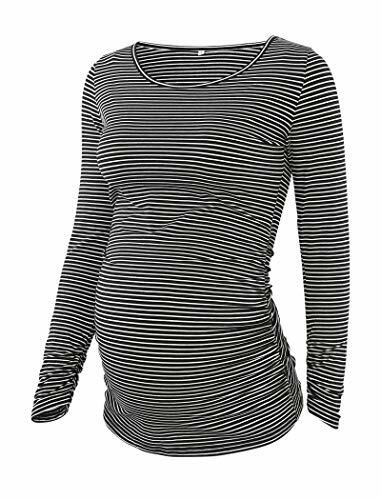 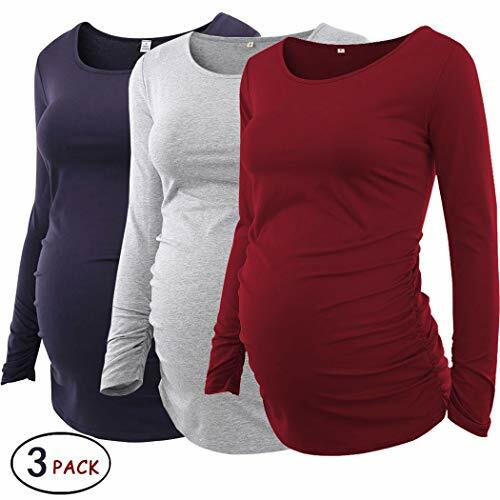 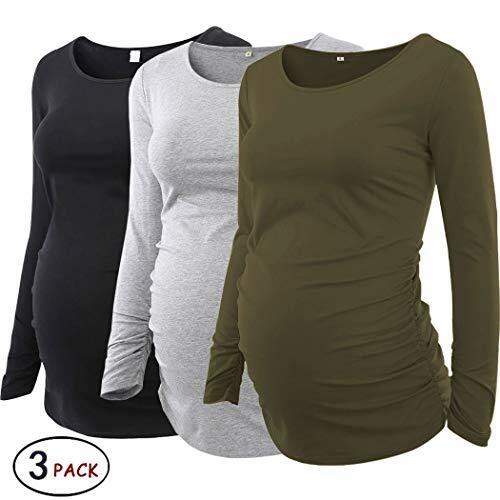 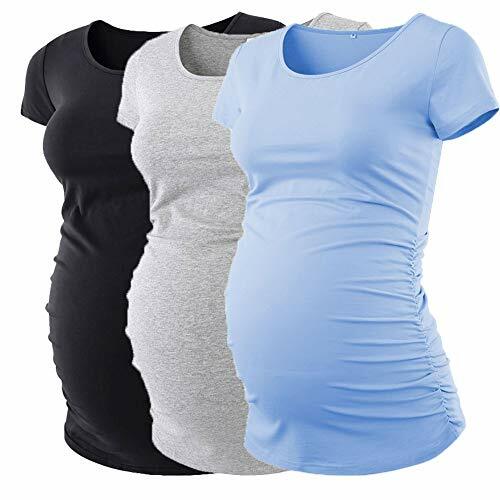 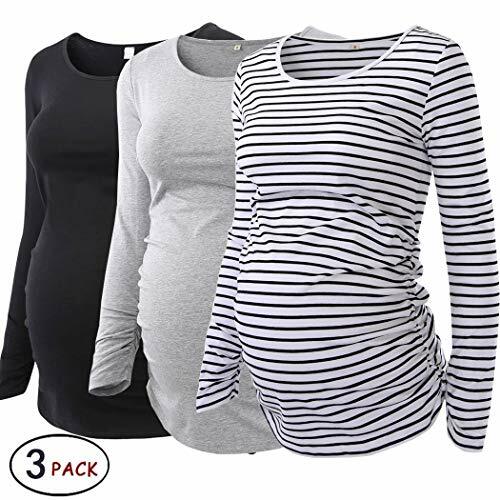 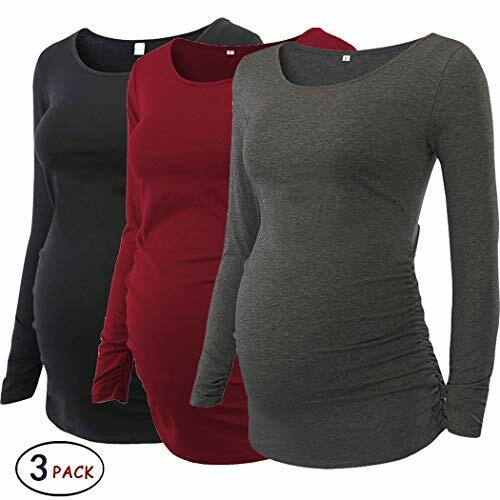 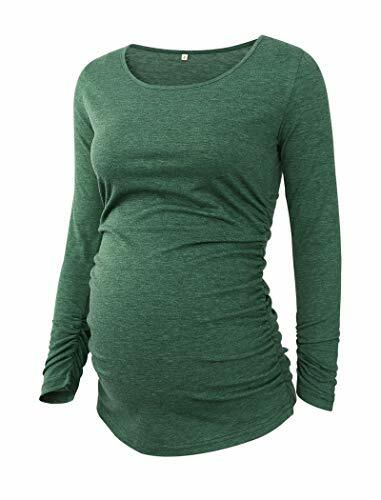 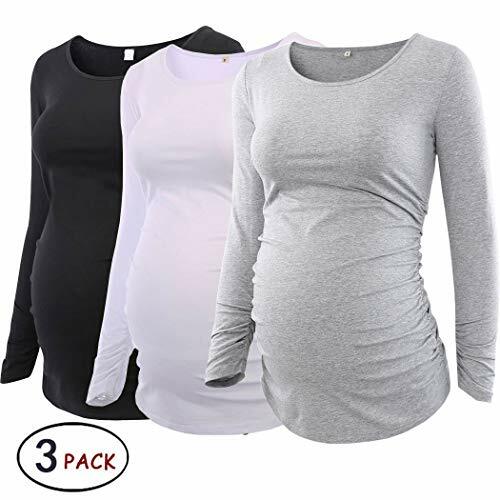 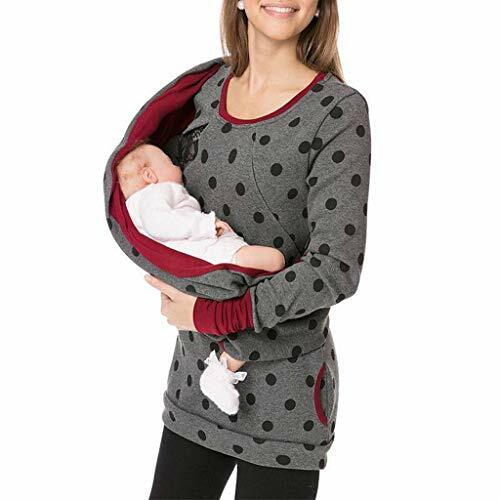 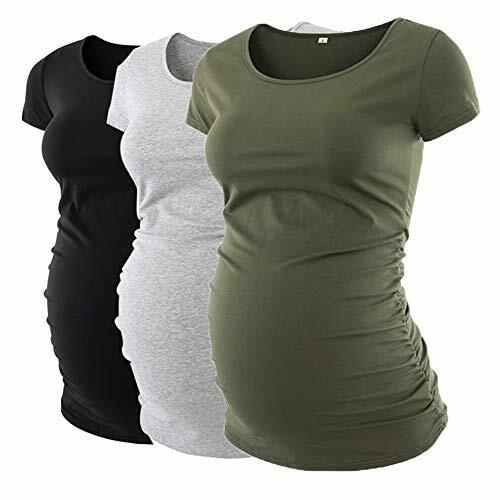 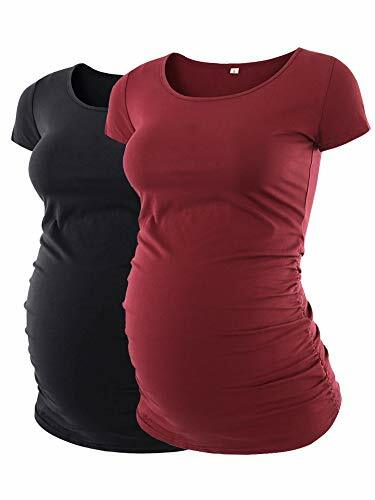 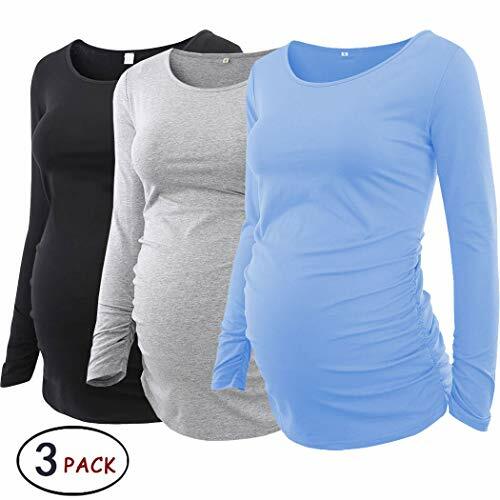 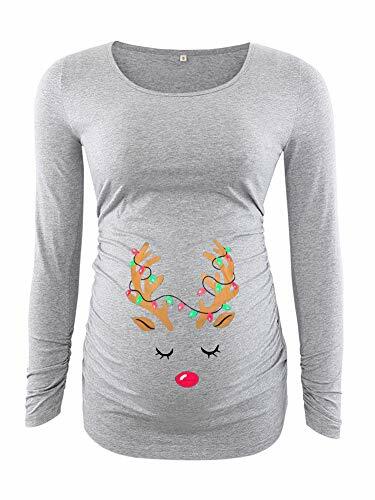 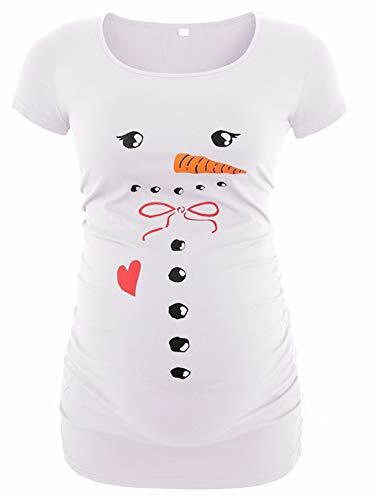 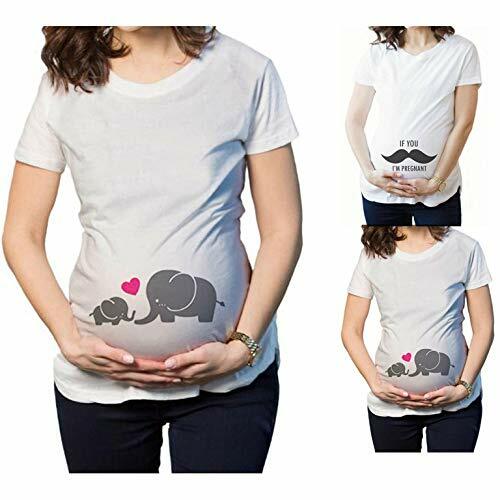 SIDE RUCHING DESIGN.This maternity clothes is elastic side ruching design that creates a flattering fit and eliminates unwanted stretchiness from your baby bump. 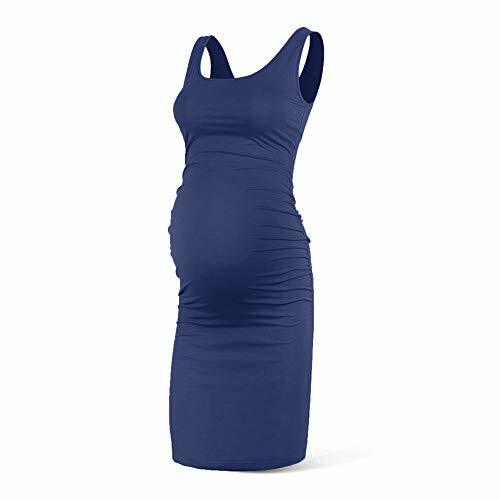 This design make the maternity tank dress have plenty of room to grow.The slim design allows you to wear it after giving birth. 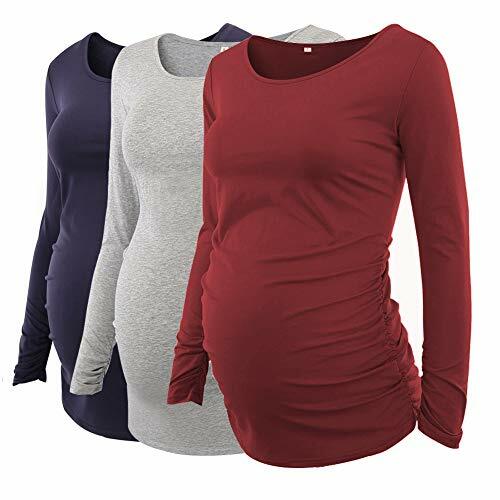 FASHION AND STYLISH.The sleeveless maternity sweater dress with knee length and assorted colors is suitable for all seasons, just add your favorite sandals or boots for a chic and comfy ensemble.Stay stylish and comfortable throughout all stages of pregnancy with this maternity sleeveless dress. 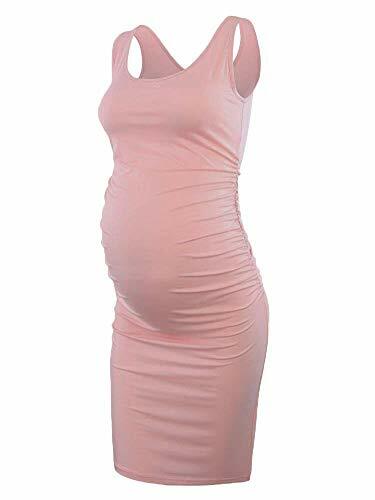 SUITABLE OCCASION. 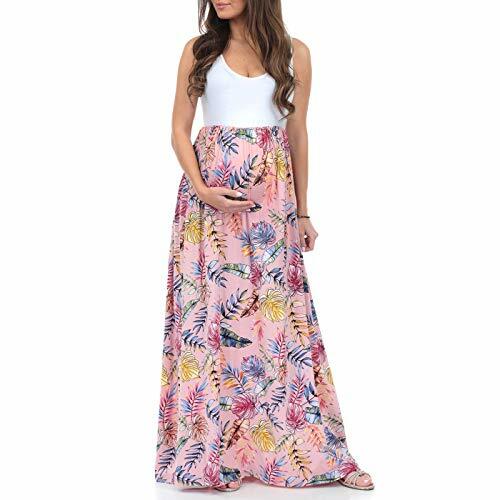 You can dress the summer maternity dress on the office,casual get-togethers,party,baby shower or for your maternity pictures.It looks great on even a postpartum woman. 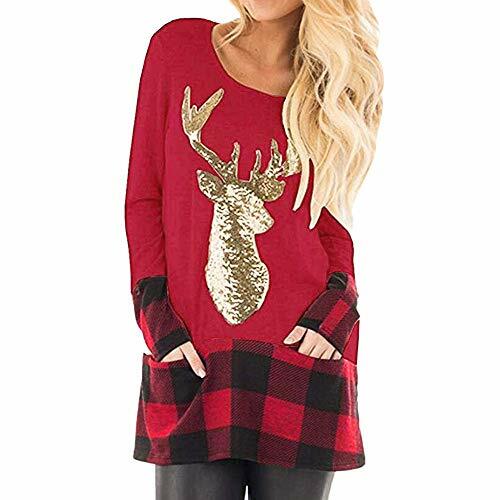 Material: Polyester and Cotton;Soft and lightweight fabric, Merry christmas and happy new year!